Europe’s largest pension funds heavily invested in illegal Israeli settler colonies. Statens pensjonsfond utland (Oljefondet) (NO), Stichting Pensioenfonds ABP (NE), Pensioenfonds Zorg en Welzijn (NE), Arbejdsmarkedets Tillægspension (DK), and Alecta Pensionsförsäkring (SE) have a total of €7.5 billion invested in 36 Israeli and international publicly-traded companies, most of which have long been under public scrutiny because of their activities in the occupied Palestinian territories. 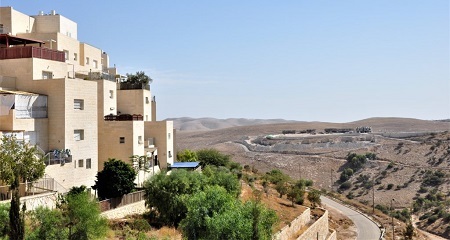 Business activities in and around settlements in the occupied Palestinian territories are not necessarily against the law, but according to the United Nations, investors are obliged to carry out enhanced due diligence and to demonstrate that their activities do not contribute to negative effects on human rights. “One should also be aware of possible violations of international humanitarian law and human rights,” the statement warns and refers to OECD Guidelines for Multinational Enterprises (2011) and United Nations Guiding Principles on Business and Human rights (2011). Policy fellow Hugh Lovatt at the European Council for Foreign Relations stated to Danwatch: “And these investments are illegal under international law – or at least very problematic –and exposes European investors to reputational, financial and legal risks,” says Lovatt. Investments in companies with business activities in and around settlements tie European investors to potential violations of international humanitarian law and Palestinians’ human rights. Lars Erslev Andersen, a senior researcher at the Danish Institute for International Studies (DIIS), agrees that it is problematic when companies have activities in settlements. “In my opinion, businesses that have branches or factories in the occupied Palestinian territories help to maintain the occupation and facilitate Israel’s continued construction of settlements, infrastructure and security apparatus in the West Bank,” Andersen tells Danwatch. This includes €135 million in Caterpillar, which supplies bulldozers for the demolition of Palestinian homes in the occupied territories; €286 million in Heidelberg Cement, which has been blacklisted by several other European investors due to exploitation of Palestinian natural resources; and €1.5 billion in Siemens, which has installed traffic systems on Israeli roads in the West Bank and placed bids on projects on occupied territory with Israel Railways. The Norwegian oil fund’s decision about excluding specific companies is regulated by an independent council appointed by the Norwegian Ministry of Finance.